Trim the chicken and lay them in a glass baking dish in a single layer. 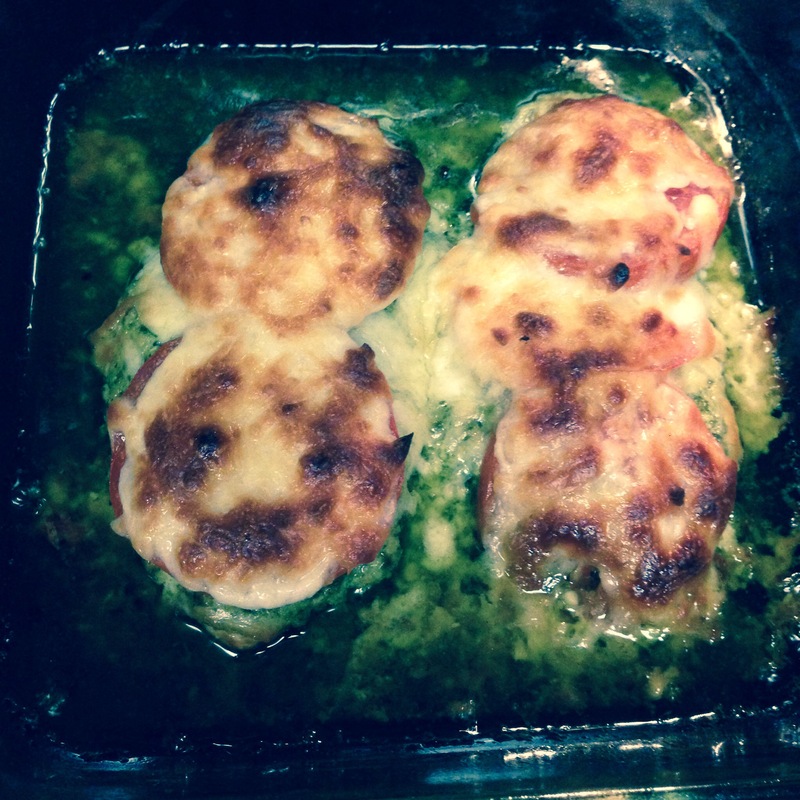 Spread 1-2 tablespoons of the pesto on top of each chicken breast. 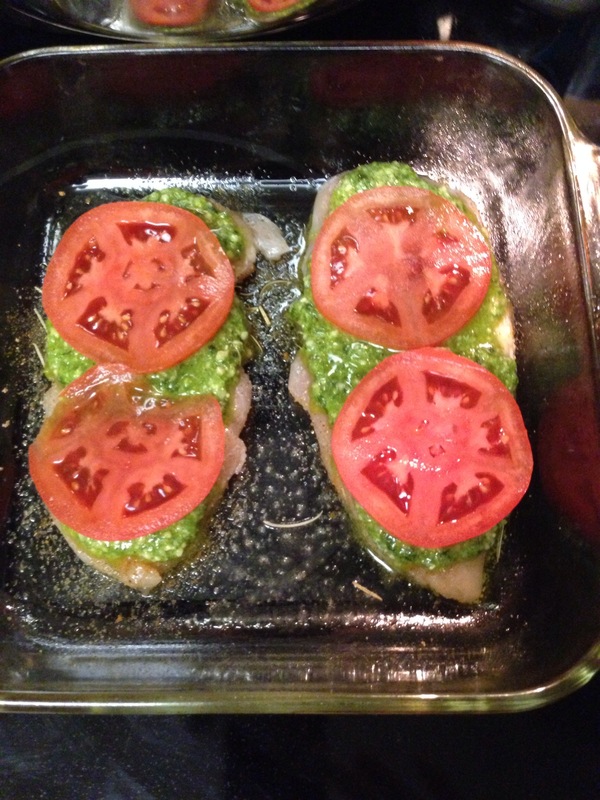 Cut the roma tomatoes into slices approx 1/2″ thick and lay 2 slices on top of each chicken breast. 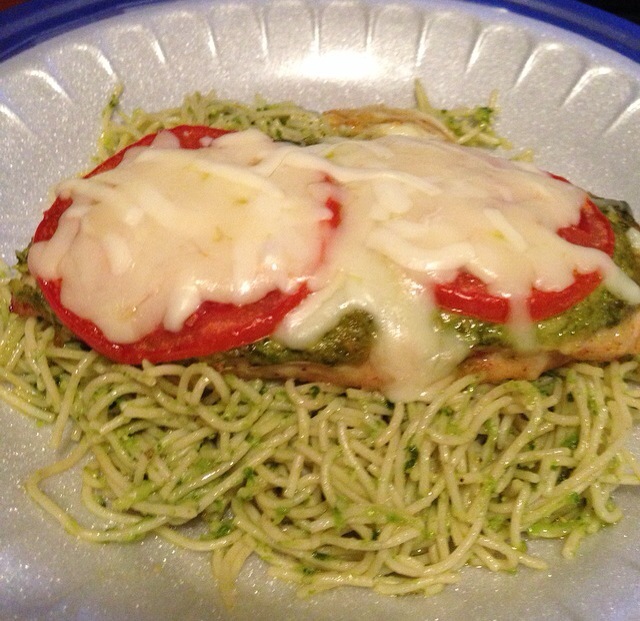 Sprinkle the cheese over the top of the chicken breasts. Bake at 400F for 30-40 minutes or until the chicken is done and the juices run clear. Serve over a bed of rice or a plate of pasta. Enjoy! Mods: I seasoned my chicken with Lawry’s Seasoning Salt, black pepper and garlic powder. Chicken dressed for the oven! I put the cheese on after it was done. Burnt cheese is not the business! Verdict: This is being added to my rotation, like I said, I’m probably going to make it again this week! It’s really good! I made it twice in the same week! You know I got to do better with taking pics on paper plates lol. Thank you for reading and commenting. Ok, so since I”m always on the lookout for easy recipes, I am writing this one down! It’s so easy and really good!